Baby Winx!. . Wallpaper and background images in the The Winx Club club tagged: photo winx club flora bloom stella musa aisha tecna season 7 butterflix. 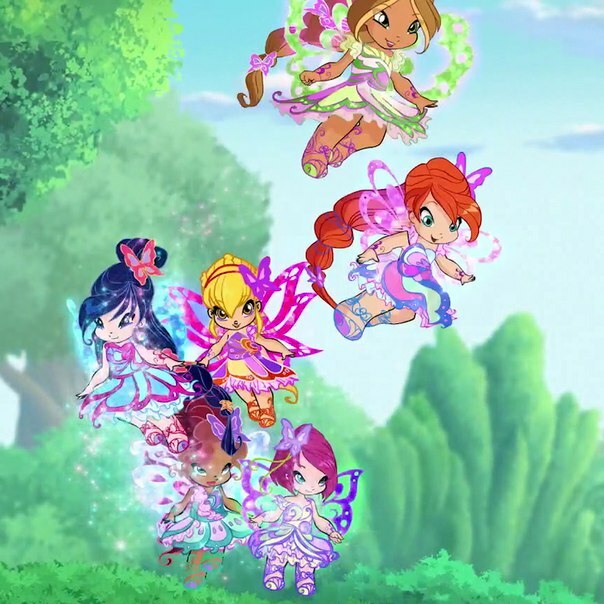 This The Winx Club photo might contain foxglove, digitalis, فواگلووی, داگاٹالاس, جاپانی خوبانی, میئ, prunus سے mume, می, پرونوس مومی, پہاڑ تیز پات, لکڑی تیز پات, امریکی تیز پات, کیلیکو بش, کلمے latifolia, پہاڑ laurel, لکڑی laurel, امریکی laurel, چھینٹ بش, and کالمیا لاٹیفولیا.